This is the church that my husband grew up in. I love the color of the walls in the sanctuary…they're kind of a salmon color. "Williamsburg Pink" is how I've heard it described. 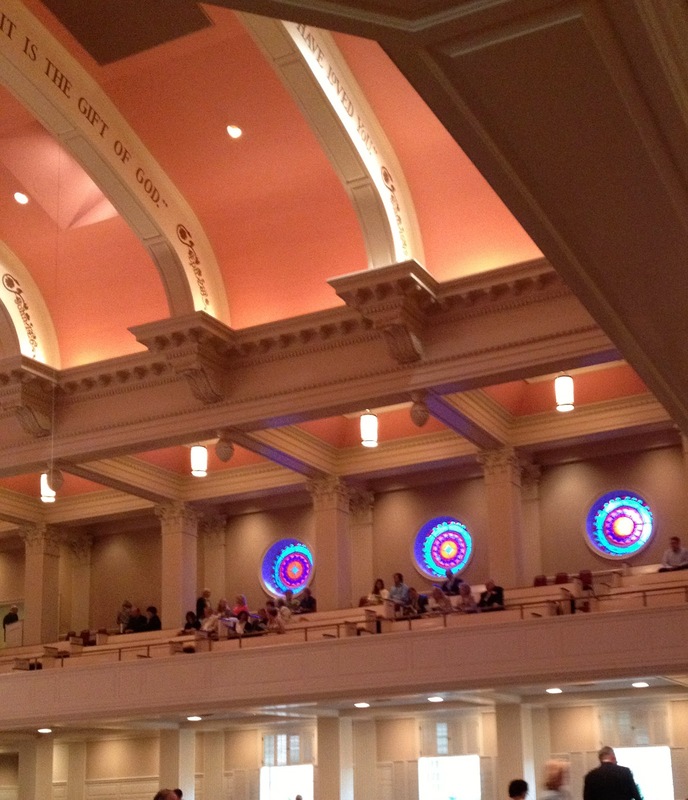 The stained glass windows are beautiful. I was taking pictures with my iPhone, so the colors aren't as vibrant. 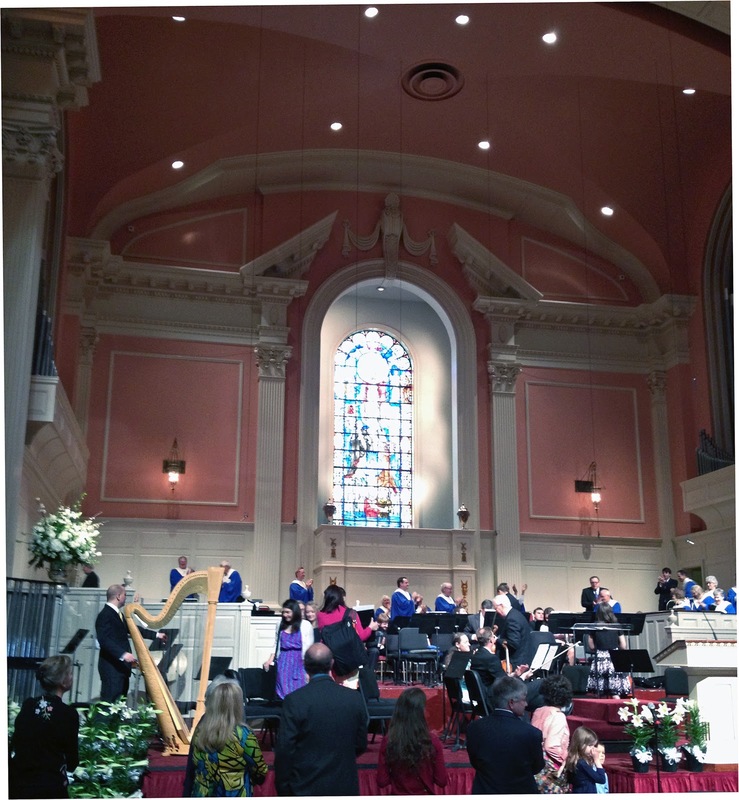 Each arch has a scripture, chosen by my husband's father, who was the minister at the time the church was being built. The scripture above says, "By grace are ye saved through faith; it is the gift of God." I hope that all of you had a joyous Easter or wonderful Passover. Or maybe you just spent a quiet weekend at home, knowing that a beautiful spring is right around the corner. I used to love going to that church when I was little specifically because of those pink walls! Such a beautiful sanctuary. Glad it hasn't changed. Happy Easter!